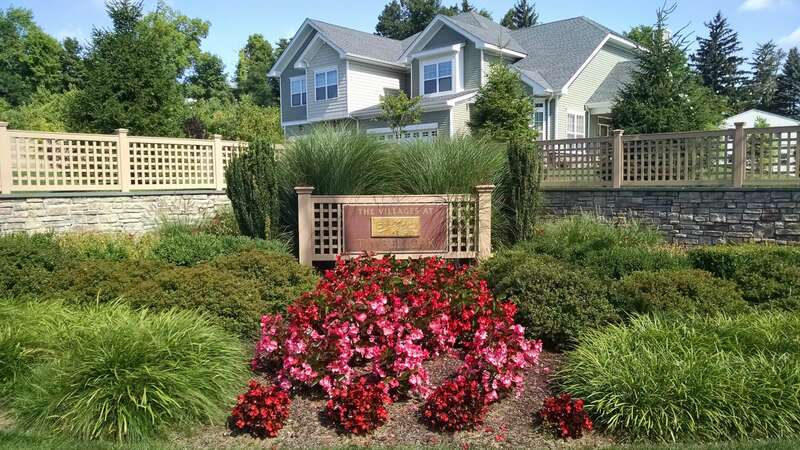 Villages at Timber Oak, with 512 units, is located in thriving Danbury, CT on Tucker Street. Building started in 2008, making these units nice and updated. The attached townhouses range from 1,400 square feet to 2,400 square feet, with two or three bedroom units. The homes have an open design, with easy flow from living room to dining area and to the kitchen. The living rooms have vaulted ceilings, hardwood floors, built-in bookcases and cabinets, wood burning fireplaces, recessed lighting, and sliding doors to a large all-weather deck. The dining area has hardwood floors and large windows. Kitchens boast stainless steel appliances, easy to maintain hardwood floors, a center island, custom cabinets, and built-in microwave ovens. Master suites, some of which are on the first floor, have walk-in closets and vaulted ceilings. Master bathrooms have soaking tubs, large showers, and double vanities. Each townhouse has a full basement for storage, with some being fully finished. The two car attached garage adds more space. These luxury townhomes at Timber Oak offer a heated pool, a large clubhouse, and tennis for the residents. To make it even better, pets are welcome! Nearby is Route 84, the major east/west freeway, which will take you to New York State to the west and Hartford, the state capital, to the east. Downtown Danbury is no more than a ten minute drive, as is the Danbury Mall, with its department stores and specialty shops. Route 7 will take you south to the charming colonial towns of Fairfield County and north to open spaces and state parks, with miles of hiking trails as well as picnic areas.